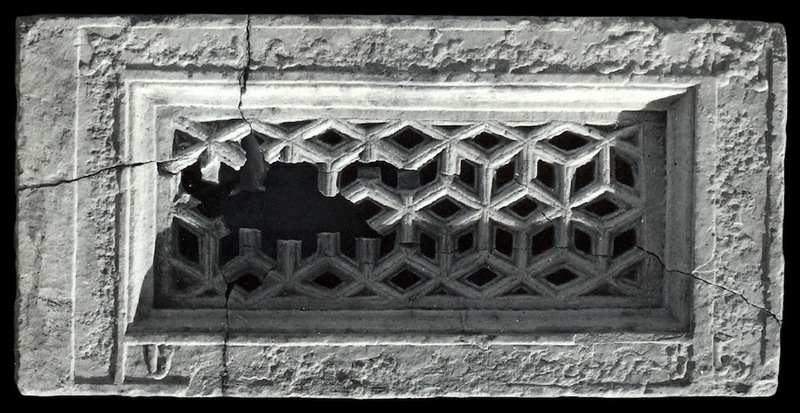 Screen carved in bas-relief and with openwork decoration (type 4). 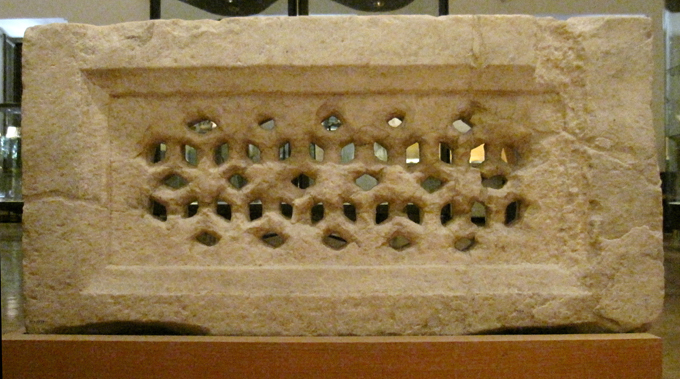 The screen is framed by a cursive epigraphic band enclosing an openwork panel with a geometrical pattern of intersecting hexagons (horizontal sequences), decorated by incised lines. The epigraphic band continues on one of the short faces of the parallelepiped and is continuous on all sides except for the lower side; a fleur-de-lis interrupts the sequence of the words in one or both the upper corners. The height of the screens is 48 cm, their width varies from 94 cm to 92 cm; their thickness is 12.5-11 cm. 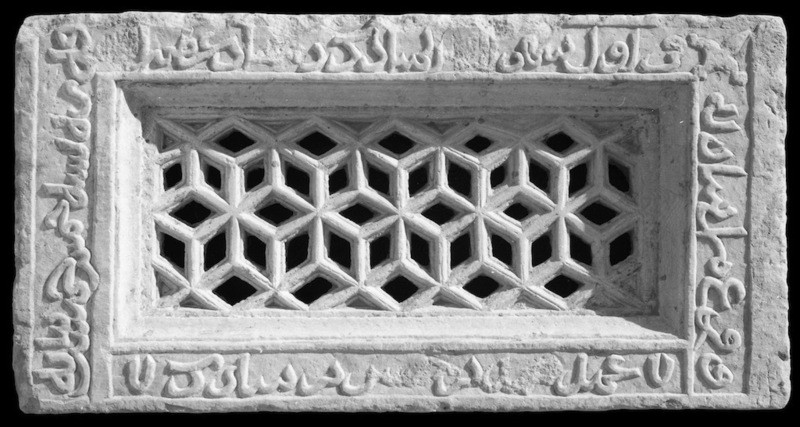 The artifacts were excavated in the Ghaznavid palace (the excavation occurred in the late 1950s-1960s).